Even walking along the road is a joy, on a day like this, amongst scenery like this. 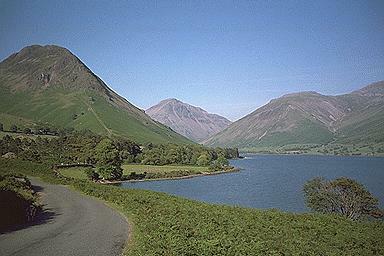 Yewbarrow, Great Gable and Lingmell are the three peaks at Wasdale's head. Larger version of this picture.